Push Handle at one end. Frame Work of CRC Tube Mounted on 10cms Castors. 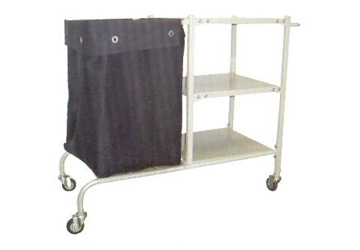 Soiled Linen Trolley with Canvas Bag (91H x 51 cm dia.). 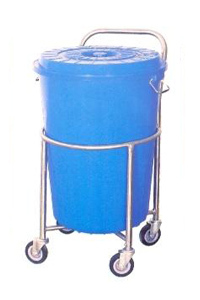 A - For Small Cylinder : 10LTRS. B- For Large Cylinder : 47LTRS. Size: 12" x 14" Dia. M.S. 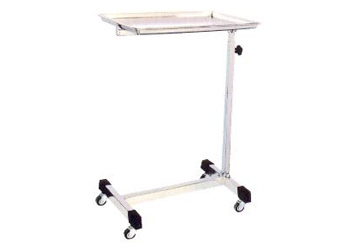 Tubular Frame Work Mounted on 5 Cms Castors. With 35cms dia S.S. Basin. 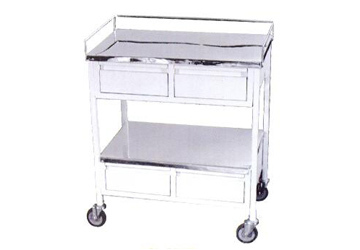 Hospital Medicine Trolley with 4 Drawer. Size: 76L x 46W x 81 H Cms. Two Drawer under the each Shelf. Size: 76 � 46 � 81H Cms. 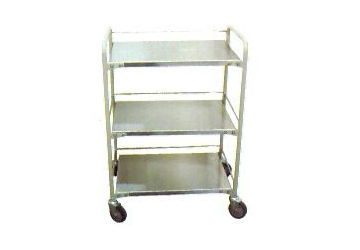 SS Shelves with Railing 10cms Castors. 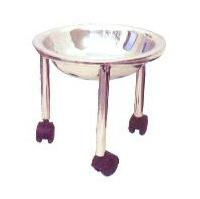 With Bowl & Basket. Size: 76L x 46W x 81H cms. M.S Tubular Frame. 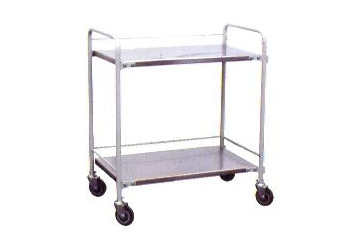 S.S Shelves with Railing 10 cms Castors. With Bowl & Bucket. Epoxy Powder Coated. Also available in S.S Frame & Shelves. Frame work of CRC Tubes Mounted on 7.5cms Castors. �Pre-treated and Epoxy Powder Coated finish. 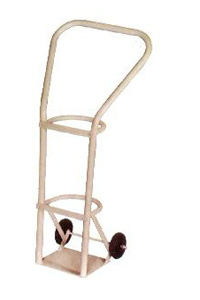 Mounted on 5 cms Castors. 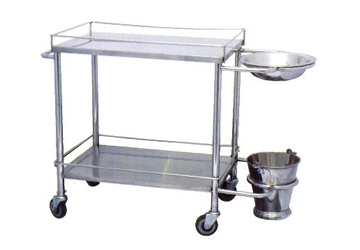 Three Shelves made of SS Sheet with Three Side Railing. Size: 24�L x 18�W x 32�H cms. 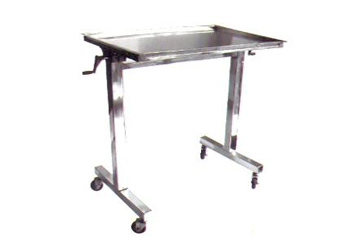 Approx Tray S.S Size: 91L x 50W cms. Frame Work of CRC Tubes Mounted on 10cms Castors. 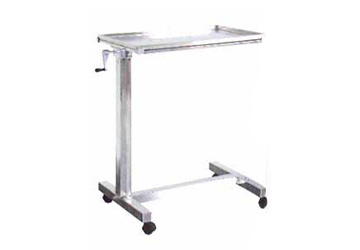 Height Adjustable by Gear Handle. Also available in S.S Frame & Tray. 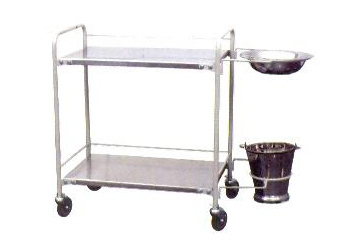 Mayo's Instrument Trolley with S.S. Tray. 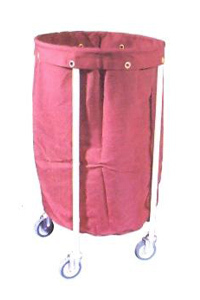 Size: 56L x 40W Cms. Rectangular CRC Tubes Mounted on 5cms Castors, Height Adjustable Bedside Knob.